Previously, I shared my handy tips on how to use a record player with you. Remember that if you utilize it properly, it can last for years. However, there is another important technique which you should familiar with is the cleaning. Even when you use it regularly or not, the player will catch and gather a layer of dust affecting the sound quality and lifespan. When it comes to cleaning, I freaked out when plenty of users said that they never clean their player because it does not get dirty, or others take a cloth to dust off the player like they do with a table. Honestly, those motions would cause a damaging impact on it and unintentionally shorten its life. 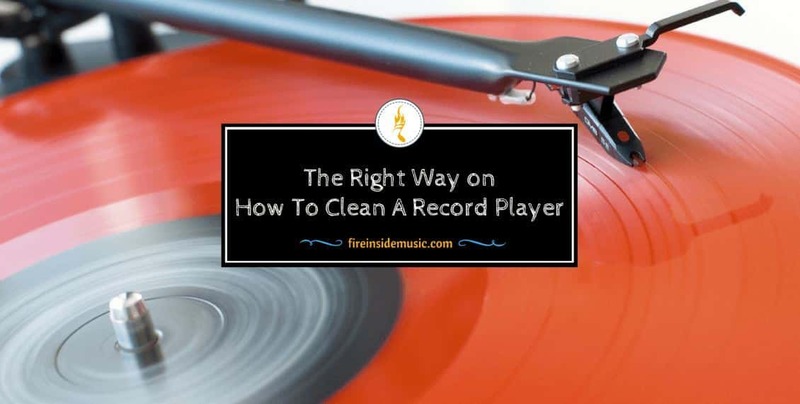 So to find out whether we need regular cleaning and how to clean a record player, keep reading the article today. Is that Necessary To Do The Cleaning? How To Clean A Record Player Properly? Before going to the main part today – how to clean a record player, we will take a look at some little-known facts about your related to your gramophone. Have you ever thought that this traditional way of enjoying music was driven to the extinction? So we will have a look at the history of the record player. Do you know who and when was it invented? Thomas Edison was the first one to produce the phonograph which can play sound in 1877. It made use of a tinfoil cylinder to record sound, but that was not practical as, at this time, the material was not freely available. In the late 1880s, a company owned by Alexander Graham Bell - Volta Laboratories had made a big change in the recording industry for the public. The cardboard cylinder was covered with wax, and they recorded the sound by using a stylus to cut grooves into that wax. 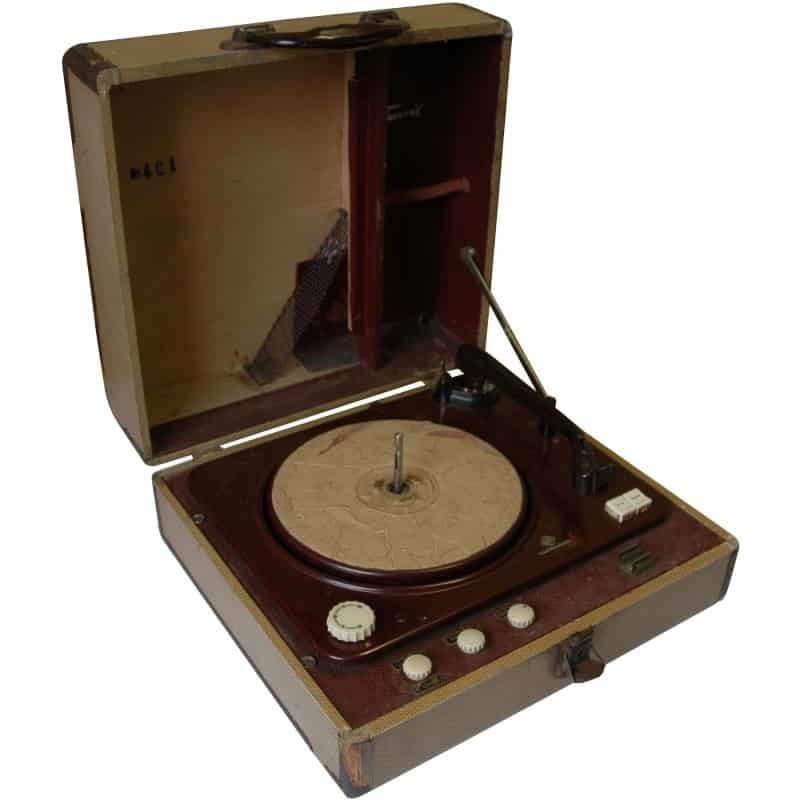 Nevertheless, the number of people who bought phonographs and cardboard cylinders had gradually decreased due to the arrival of the gramophone as well as 2-sided discs that were made of zinc, plastic, or glass. Both of them were a bit thicker than the vinyl records – a new format. In fact, it could be said that, throughout the 20th century, vinyl record was the main way to record music along with other formats, for example, tapes including cassette tape, cartridge tap, and reel-to-reel tape. In the 1980s, the advances in the modern technologies had led to the invention of new MP3 and Compact Discs, in other words, CD which made previous formats no longer faded in. 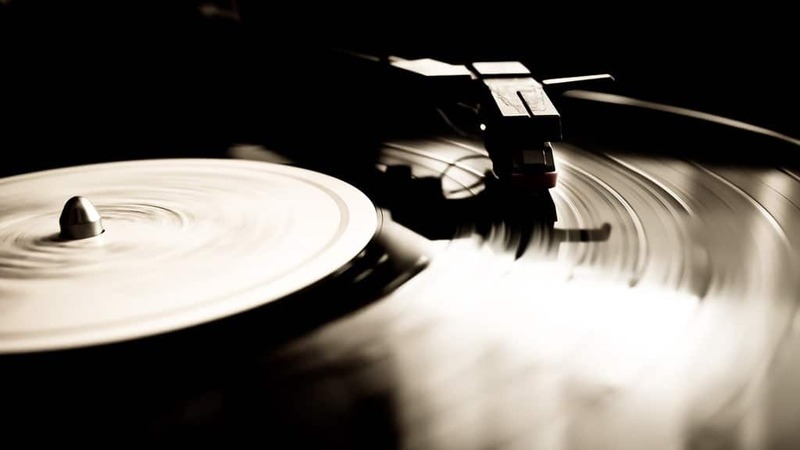 Until the 21st century, disc jockeys and music lovers have successfully kept the vinyl records alive. The main responsibility of a record player is to work as a great source of quality audio providing music enthusiasts listening pleasure. Depending on our preferences, we might be more interested in one particular kind. Hence, Let’s me introduce you 4 primary types of record players. The most well-known gramophone should be the Victor Victrola that still exists these days. This record player is a wooden box containing a quite simple winding tool. It has responsibility for spinning the turntable. The thing which has made the Victrola iconic is the horn speaker on top of the record player. It is firmly affixed to a big round head holding a needle. Honestly, the discs or records for this type of gramophone are a bit thick in comparison with others, and it might be difficult to buy them nowadays. Electrola record players are the Victrolas gramophone that was produced to use electricity to function without a cranking handle. The Electrola was at its peak of popularity between the late 1940s and the early 1950s with a wide variety of designs. After the Second World War, the turntable one had become the most popular item among the home stereo systems. 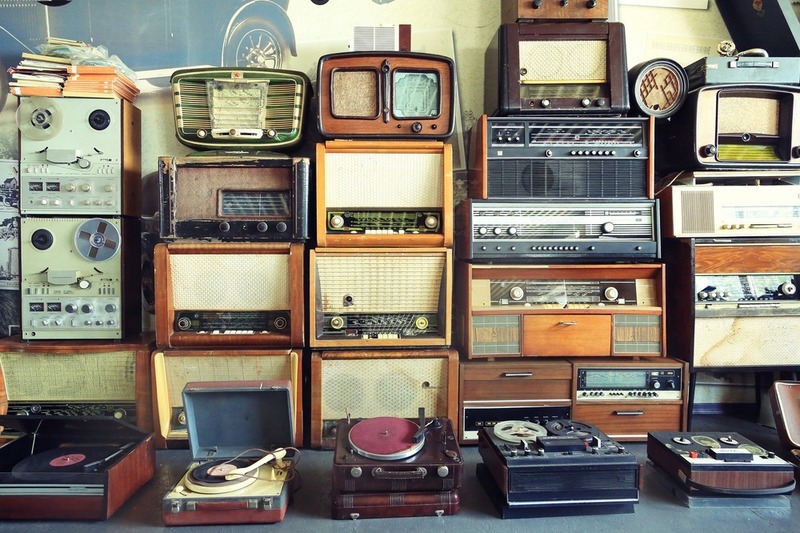 They came in various sizes, designs, and even with console models having AM/FM radios and a cassette player. Thanks to the advances in modern technologies, it allows you to connect to another device via an analog or USB. Surprisingly, the art of scratching by rap and hip-hop disc jockeys have existed long enough to be considered as one of the 4 vintage gramophones. These devices consist of 2 turntables which are connected to a hi-fi PA system. It is true that many users did not believe me when I told them that they need to clean their gramophone regularly to better the sound quality and increase the level of durability. It will get full of static once you turn it on which attract dust in the air. Honestly, even when you do not use the gramophone, after a period of time, the record player will be covered with dust. The lack of maintenance, of course, will definitely result in bad sounds which are against the purpose of buying a record player, right? In some cases, if your device is covered in dirt, this might cause your records to be inaudible. So, the answer is YES! 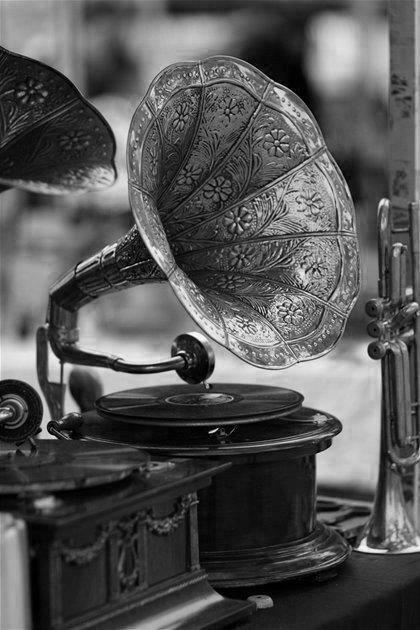 Regular cleaning is necessary to have an excellent and durable gramophone. Apart from learning how to clean a record player, to help your gramophone deliver a great performance as well as prolong its life, you must know the general caring tips whether you are a newbie or a real pro. Also, these following advice can tell you what to do in some cases in which the machine does not function normally. It is not friendly to hard impacts and water at all, so make sure that you place the player in an area which is not exposed to water and stay away from unexpectedly heavy impacts. Prevent it from the prolonged exposure to sunlight and extreme temperatures. In case the speakers are removable, you had better usually check the connections to ensure the high quality of sounds. If not detachable, look at solder points to see whether wires get loose or not. Remember to often clean the exterior of your player. In case it is a plastic model, use a damp cloth to dust it off but avoid wires, ports, and jacks to avoid potential damage. For wooden components, furniture polish would be a good solution. Sometimes, compressed air might be required to remove dust. 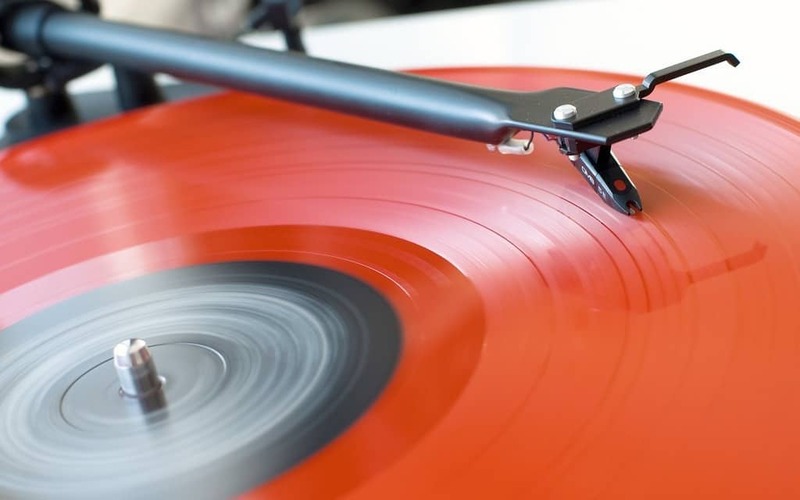 After getting your record player plugged in and turn it on, try to spin the turntable to see how sharp the needle is and if the sound is clear or not. In case the annoying sound appears, you must take a closer look at the speaker knobs and connections to treble, bass, balance, and volume to make sure that they are completely clean. Levelling is important because it will influence the play, to ensure that it is 100% level. Gently check every side of your turntable to screw up or down properly. If there are a deck cover and a needle, you have to pay attention to since those positions tend to gather thick layers of dust by using a dry cloth and taking advantage of compressed air. In some situations, you might need to open the cabinet to get it clean and clear. 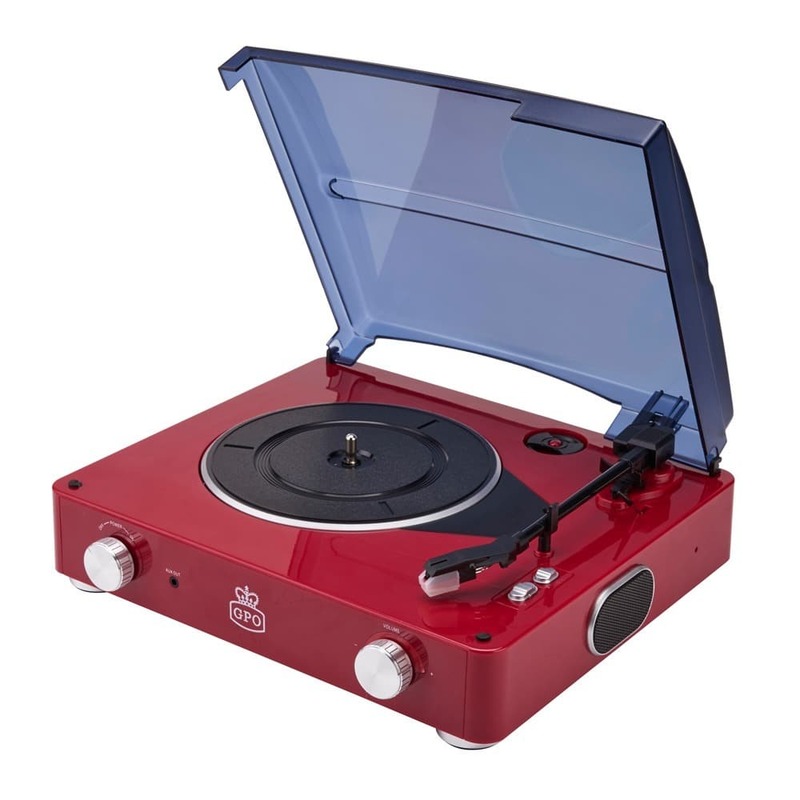 Before showing you specific steps on how to clean a record player, we should do a good preparation which means you need to have some special tools to get the job done in the right way. In fact, there are 2 main steps in total. So let’s see how to clean a record player! Take 1 or 2 drops of cleaner to the stylus cleaning brush. Then, firmly hold the stylus and the tonearm securely to make sure that they do not move around and turn the turntable on while you are cleaning. Make use of the brush to wipe from the rear to the front. Keep doing this 5 – 10 times to ensure that it clean. Never rub it side to side to avoid damaging impact. A stylus cleaning brush comes highly recommended as it has the great accuracy without posing any threats to the gramophone. In case you do not have this tool, you can use the soft paintbrush to do the task. Normally, we just need an antistatic dusting cloth or a dry lint-free cloth to remove debris and dust. However, if you feel that it is not enough to make the surface clean due to a thick layer of dust particles, just drop a few drops of rubbing alcohol on the lint-free cloth. The reason why sometimes we need the support of rubbing alcohol is that our fingerprints and other stubborn agents doggedly stick to the surface. When it comes to the rubbing alcohol, please ensure that you will start from the center and motion the cloth outwards in the circle. If there is any moisture or dust left, use that lint-free cloth to finish your job. Moreover, the surface should be cleaned after each use to retain its high quality. As you see the cleaning process is not complicated at all, right? Well, we are not done yet! There are some additional things that you must keep in mind when it comes how to clean a record player to prevent your gramophone from being affected. Not all player comes with a cover for a turntable. Therefore, you can take a soft cloth as the cover after each use which is responsible for protecting it from the attack of dust and other agents. Aside from covering the player after every play, it would be better if you did the same thing when it is working. The reason is simple! When working, it creates static electricity attracting dust. If possible, go to the nearby record store to get a cleaning kit. Also, do not make use of household products to clean a player. Never take the needle out of the player to dust off the interior. You might not clean all dust particles out, so removing the stylus can result in a damaging impact. Say ‘No’ to use fingers when doing the cleaning because the stylus will be bent accidentally. Otherwise, the oils and acids on your fingers can badly affect the surface. 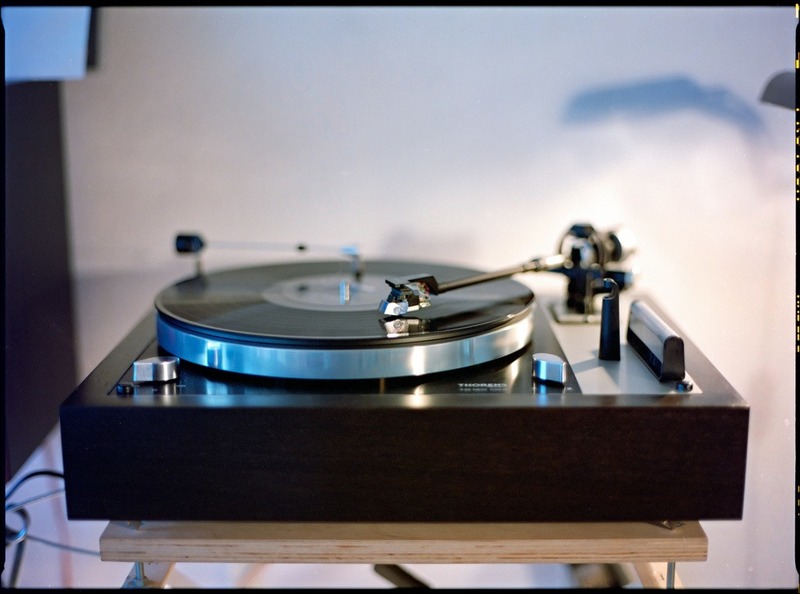 A record player does not require you to get clean on a daily basis, but to have the high-quality sounds and ensure the durability, regular cleaning is necessary. Hope that my tips on how to clean a record player today are. If you have any questions, drop a comment below. Last, do not forget to like and share article today with your buddies.